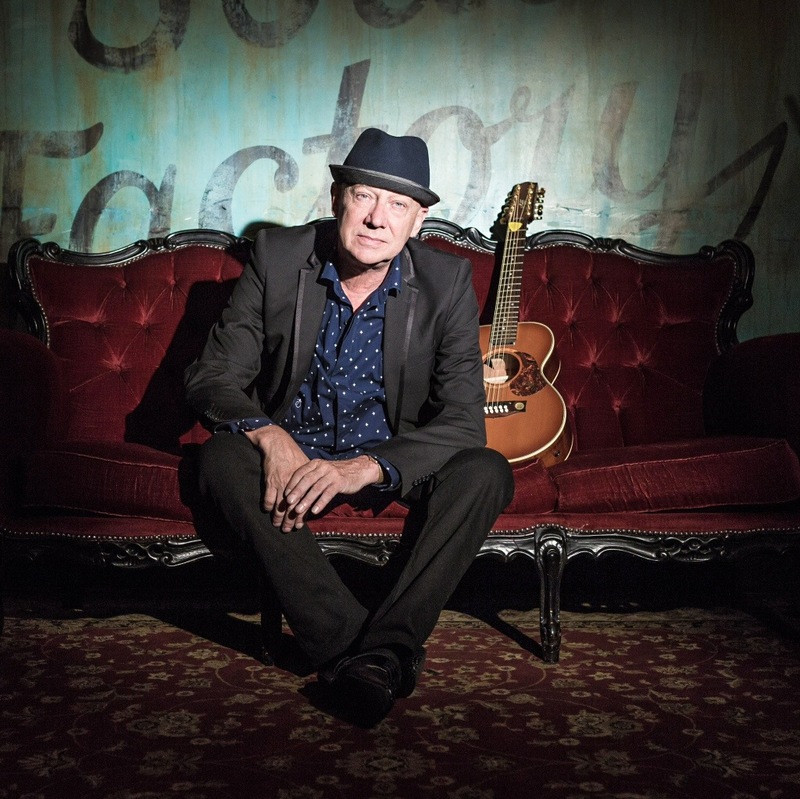 Aussie legend and ARIA Hall of Fame inductee Russell Morris is back with new album Van Diemen’s Land – the second in a trilogy which shares stories of our nation’s past. His historically inspired album features special guests from bands including Midnight Oil, The Living End, Daddy Cool, and Chain. Russell tells us why it’s important to remember what makes us who we are. STEPH: What sparked your interest in old Australian stories enough to share them with the world through a trilogy of albums? RUSSELL: When I did the first one, I only did it as a labour of love. I just wanted to do a blues-roots album about Australia. But once I finished it, I thought there were so many other stories I wanted to write about. There are so many wonderful stories that make us who we are – the good, the bad, and the ugly stories; they’re why we’re Australian. S: Why did you dedicate your latest release Van Diemen’s Land – thylacine and all – to Tasmania? R: I thought I would start there because that was where we started; where all the petty criminals were brought out. Tasmania started as a penal colony. Then they started settling and that was our beginning. I am always down in Tasmania working. I really love the drive from Launceston to Hobart – we always stop at the windmill in Oatlands and I’ve been to Port Arthur and looked at so many things. One of the main writers that I write with, Gary Paige, lives in Hobart, too. It is a stunning place but the funny part about it is, for the people who were taken here initially, it would have been a horror place. It wouldn’t have been great scenery to them – they would have been scared of spiders and snakes, and it would have been alien. It would have been very intimidating. The great part about what made Australians ‘Australians’ it that the ones who survived, the genes that have been passed on to us, have made us a very strong nation. S: Do you think Australians are growing more or less attached to our nation’s history? R: If I had have said to you 100 years ago, ‘wasn’t your grandfather a convict?’ you would have absolutely panicked inside and said ‘no, there’s no convicts in our family’. The stigma was absolutely appalling. You could not be associated with convicts – it was very bad. In a way, that started a cultural cringe where Australians didn’t talk about their history and how great it was. But it’s completely changed now – you see so many people looking for a convict in their lineage. One of my great examples of that was when I came down to Tasmania with a friend of mine who was Taswegian. We were looking at one of the great bookshops and he said to me, ‘look at this – there’s my great, great, great grandmother, unbelievable!’. We were reading it, and the title of the book was Whores, Strumpets, and Bad Women of Tasmania. But he was delighted. That’s why we’re Australian. All those little bits of tapestry that we can put together have made us who we are. S: With some of the nation’s most famous hits such as ‘The Real Thing’ under your belt, do you find it more fulfilling to share these stories of our past or to bring joy to and unite people through rock music? R: I love to share the stories. I really like that feeling of sharing a history, and with some people it’s letting them know about things they didn’t know about. S: How are you expecting Tasmanians to receive your album? R: I hope they’re happy that I’ve used the thylacine on the front. There’s also a line in there that says, ‘whoever thought I’d end up in this hell hole?’ so I hope people don’t think, ‘why would you say that about Tasmania – it’s a beautiful place!’. It is a gorgeous place, but back then it would have been horrifyingly scary. Tasmania takes the cornerstone on this album, that’s for certain. This article featured in Warp Magazine, May 2014. http://www.warpmagazine.com.au.